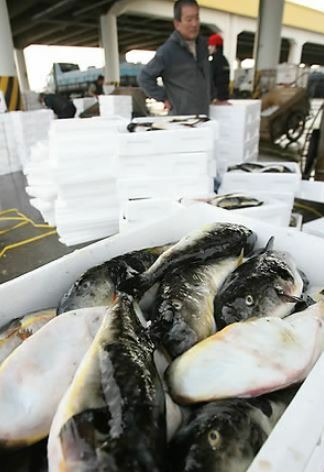 Three men, including a man surnamed Kim, 57, who ate pufferfish in Jeju City, have been hospitalized for poisoning. The three reported symptoms of swellfish poisoning at 2:53 p.m. Sunday. They were taken to a hospital in Jeju City by ambulance. Currently, two people, including Kim, are in intensive care in critical condition, while the third person is reportedly not in a life-threatening condition. The three men complained about nausea and dizziness after eating swellfish that they themselves had cleaned at their accommodations. The toxins in the swellfish’s reproductive system are very toxic. For adults, 0.5 milligrams can be lethal. Deaths from swellfish poisoning are the most common among fatal accidents caused by naturally occurring poisonings.